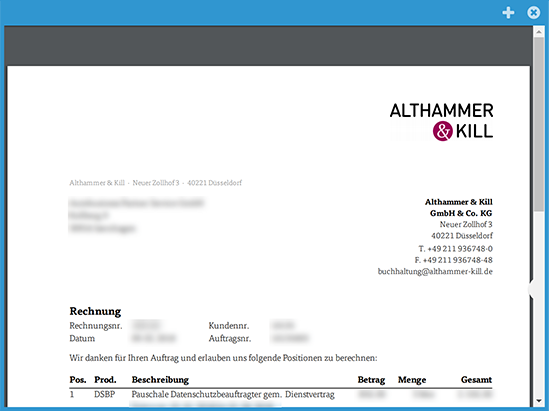 Althammer & Kill GmbH & Co. KG is a German-based consulting company focusing the fields of data protection, information security and IT compliance. Based in Düsseldorf and Hannover, the team works with a number of national and international clients to prepare for the General Data Protection Regulation of the EU (GDPR) that comes into effect on May 25 th , 2018. 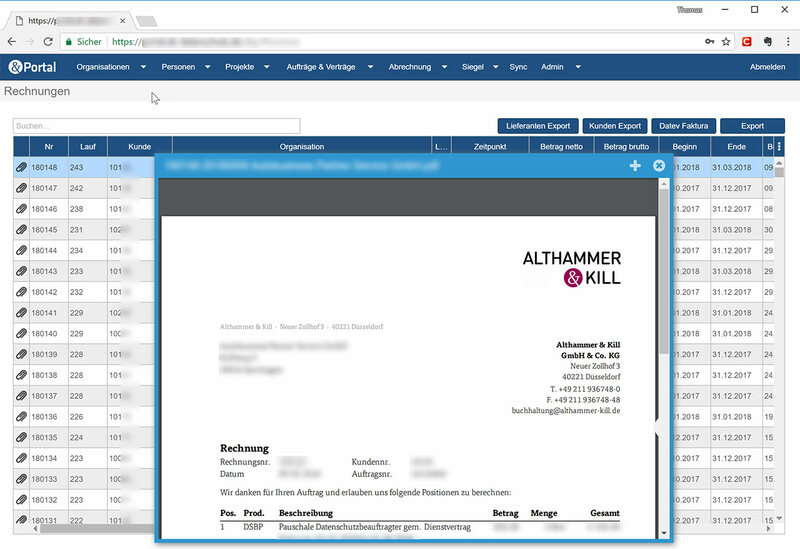 Althammer & Kill provides experienced external Data Protection Officers for clients in different industries such as automotive, transportation, healthcare, pharmaceuticals, and for non-profit organizations. 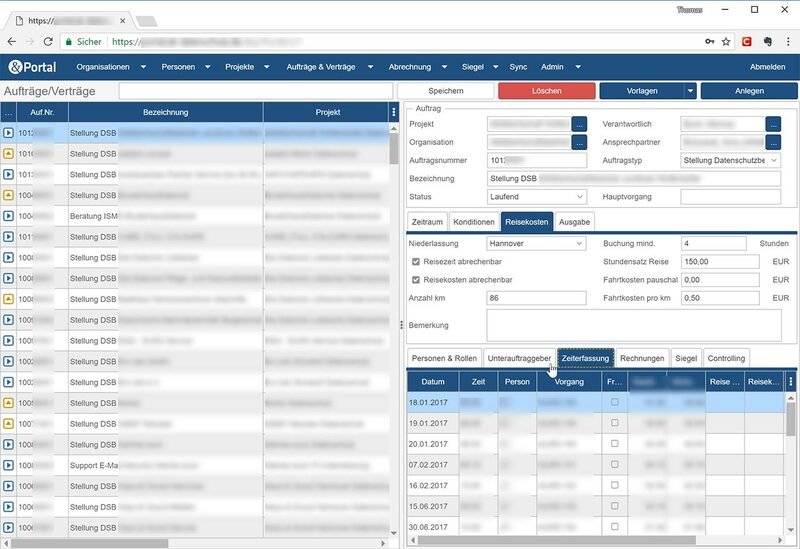 The A&K Portal supports project and order management, has a deep integration in Atlassian’s JIRA Service Desk along with Tempo Timesheets. The invoicing is based on billable hours that feed back from JIRAs worklogs into automated invoicing met for the special requirements of many organizations covered by framework contracts. Another core feature is the integration of Word processing functionalities to automate reporting and the creation of seals and certificates. Data protection certification is becoming more and more important. 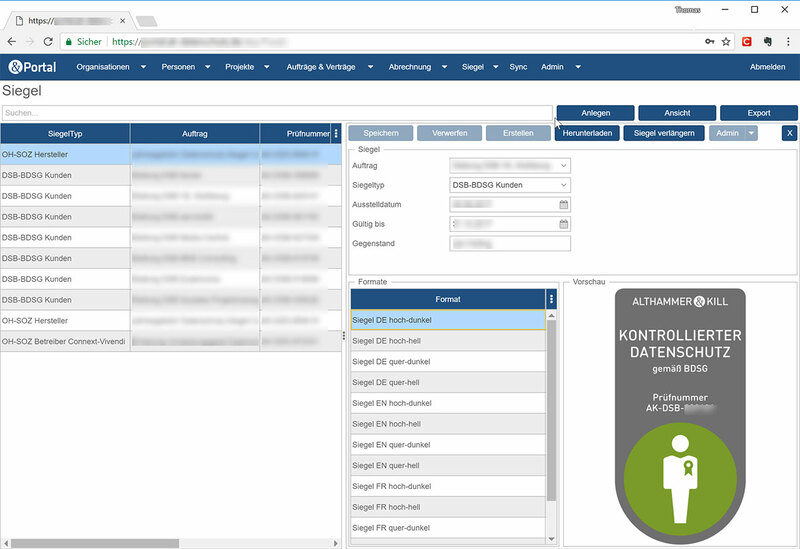 Wisej helped Althammer & Kill to build the platform for managing and issuing seals and certificates for different certification demands in the field of data protection. There are lots of plans to improve and extend the platform. 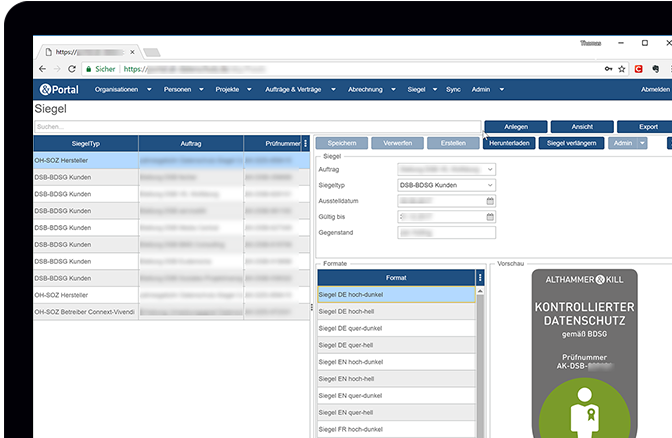 All documentation requirements around the GDPR will be covered by the portal with customized modules to achieve legal compliance for the customers.